Only on 20th April 2017, show up in Red or White and you’ll receive 20% off for a whole cake! Available at 20 selected outlets in Klang Valley, from 12pm – 5pm only. While stocks last. 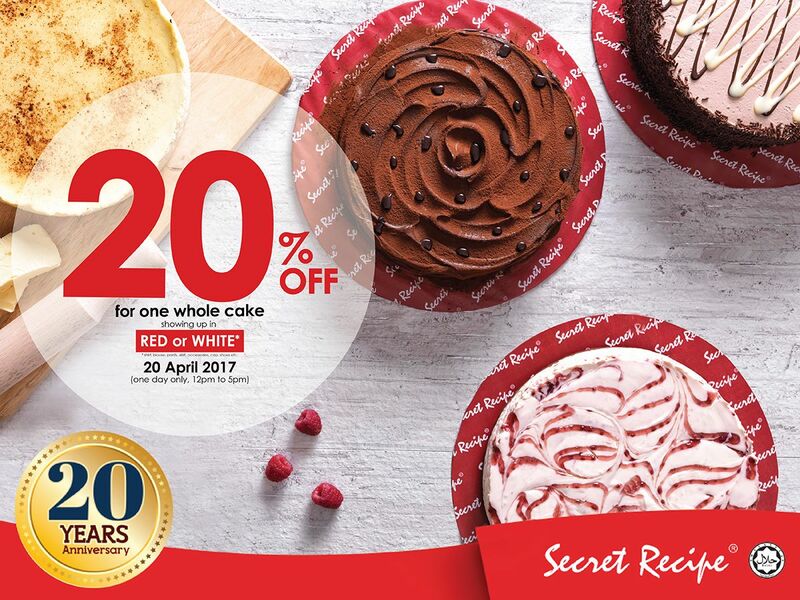 It’s time to plan your special occasion and celebrate with a sumptuous sweet treat. Promotion valid on 20 April 2017, from 12pm – 5pm only. Limited to ONE (1) whole cake per customer only. Not valid with other on-goings promotions, bank discounts, privileges, set meals or offers.